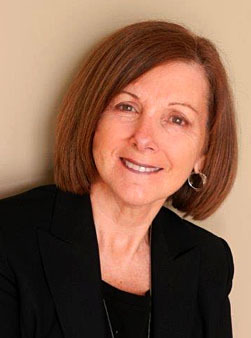 Marion Humphries is a Registered Retirement Consultant, Deposit Broker and Certified Health Specialist. She has worked in the financial services industry for over 20 years. The main focus of her business is retirement planning. Under the business name, MK Consulting, Marion offers personalized consulting services. In addition, the office is a retirement resource centre. The office of MK Consulting is located on Yonge Street, in beautiful downtown Aurora, Ontario; just 45-minutes away from downtown Toronto. Marion’s client-base is primarily in the Greater Toronto Area (GTA), but with today’s technology, she can effectively provide retirement planning services throughout Ontario. Marion has mastered the art of listening first. From the initial consultation to the final draft, clients will get a sense of her ability to focus on core issues to achieve the retirement lifestyle they most want. She follows the 6-step client engagement process to retirement planning. Professional retirement planning software and other navigational tools are utilized to produce a detailed road map of the retirement plan suited to each client’s objectives and dreams for the future. Marion takes the time to understand your unique and personal situation to create the best plan for you. Marion is a graduate of Laurentian University with a degree in Psychology and Economics – 1986. Marion has successfully completed many financial and other courses within the industry over the years. Life-long learning has been at the core of maintaining proficiency. Marion has always aspired to achieve educational credits each year to exceed the level required within the industry. She is a long-standing member of Advocis, the professional association of financial advisors, and a member of the Canadian Institute of Financial Planners – Retirement Institute. Marion is also a member in good standing of Registered Deposit Brokers Association. Marion is a Certified Health Specialist through the Institute for Advanced Financial Education. To assist individuals and couples to plan for a successful retirement utilizing the resources they have available to them. We take a very detailed approach. We take the time to understand your objectives. If we can’t help you, we will find someone who can.